Designed especially for longer stays, each studio suite room features a fully-equipped kitchen...something you won't find in a typical hotel. Guests can utilize kitchens with full-size refrigerator, microwave, stovetop, cooking and dining utensils. Spread out in a workspace with computer dataport. The hotel offers free parking, local phone calls, and voicemail. All rooms come equipped with iron and full-size ironing board. Guests can also use the on site guest laundry. 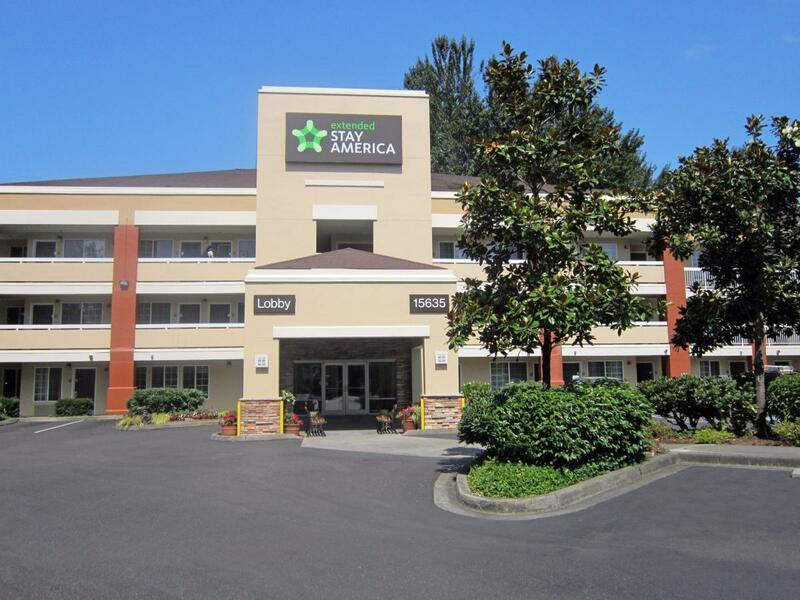 This extended stay hotel is located minutes from the Seattle-Tacoma International Airport, is within walking distance of the Tukwila Amtrak Station and is central to the I-5 and 405 Exchange. The property is also near Westfield Southcenter shopping center with hundreds of options for shopping, dozens of restaurants and exciting entertainment like iFLY indoor skydiving, ACME Bowl and Billiards, and more.